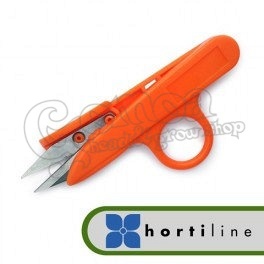 The horticutter scissors are a small and simple tool to cut your tops. The scissors are sharp and naturally spring back to their initial position. These scissors work really fast and are ideal for fine cutting work. Hortiline is a Swiss brand that focuses on simple, good quality products for small-scale horticulture.